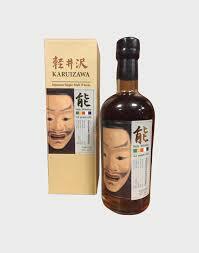 A single cask Karuizawa 22 Year Old bottled within the infamous Noh series. ‘Noh’ series appear in auction from time to time, one of the most popular series among collectors. Also most affordable bottle for Noh collection. Distilled in 1994 and bottled in 2016 from a single sherry cask 7640, which yielded 435 bottles only.